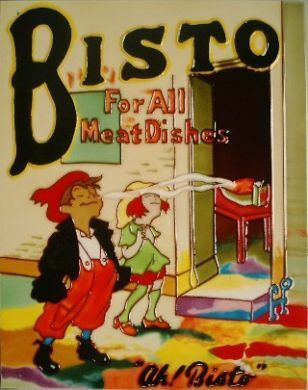 A hand painted ceramic picture tile featuring the classic Bisto theme. 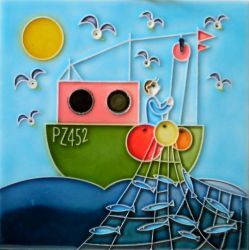 Beautiful colour and detail, this is a unique design on a tile which will look great on your kitchen wall. One of two Bisto tiles in our range.